It’s been quite a hectic week. But I did manage to go running on Thursday, for the first time in about three years. Which is kind of a big thing for me, so hopefully I can make it a regular part of my schedule. 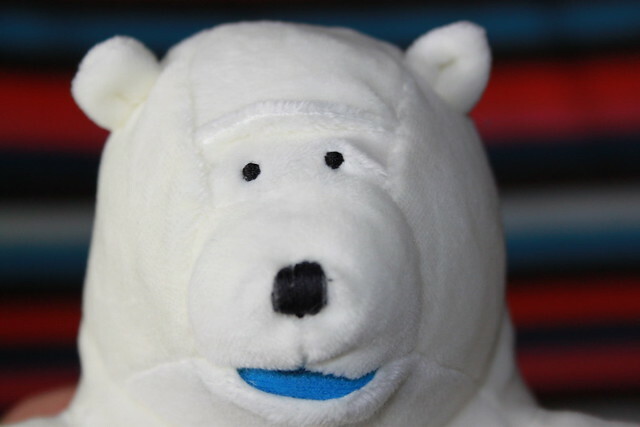 In lieu of any form of intelligent post, here’s a photo of Clarence the Polar Bear. He arrived with the postman this morning after I’d sent off a wad of tokens to a well know frozen food company. You don’t want to know how may fish fingers I had to eat. Anyway, here he is. This entry was posted in Photo of the week and tagged Clarence, Fish fingers, Photo of the week, Polar Bear, Running by Simon Perks. Bookmark the permalink.